Dear Mr. Barcal, please present your company in short. Czech Sunrise Elevator Parts is based in the Czech Republic. The company was founded in 2011 and it is a Czech-Chinese joint venture with the majority owned by Tianjin Sunrise Elevator Parts Co., Ltd (one of the leading global manufacturers of guide rails). The company was established for the purpose of selling and promoting Sunrise guide rails on the European market. Do you plan to extend your activity in SE Europe and why did you decide to participate in LiftBalkans? We have established successful relationships with customers for example from Spain, Germany, Austria, Poland, Croatia, Hungary, etc. Now we think it is time to start growing in SE Europe as well. We have already had some contacts in this area but we hope that the participation in LiftBalkans will help us open a door to SE and we will be able to get in touch with potential customers. What products will you showcase and what differentiates them in terms of quality, services, etc.? Czech Sunrise Elevator Parts offers guide rails. We have a 1500 m2 warehouse in the Czech Republic. Generally there are two options for how we deliver the goods. We are able to supply guide rails either directly from China (full 20´box container) or from our warehouse in the Czech Republic (no minimum quantity, short delivery time). 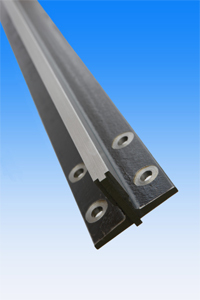 We sell very good quality guide rails (testing the guide rails in Europe) for competitive prices. Besides the product itself we can offer customer orientated service, personal attitude to each customer and technical and business support. We would like to invite everyone who is involved in the elevator business. Our customer´s porfolio is very wide, starting with multinational companies, going on with middle-sized companies and ending with small local companies. Whether you are an elevator manufacturer, elevator components seller or a company installing elevators, we will be happy to welcome you at our stand. Please, come by and let’s have a talk.